The PSU Library will be open during Spring Break. Visit us to work on your research, check out books, or find a quiet space to read and use a computer. Enjoy your break by reading something new about history, art, or any other topic that interests you, or read a new book by one of our PSU faculty authors. We have also fiction throughout the library. Novels in many languages are on the 4th floor in the P sections, and children’s fiction is on the 5th floor in the PZ section. The Dark Horse Comics collection is by the curved window on the 3rd, 4th, and 5th floors. 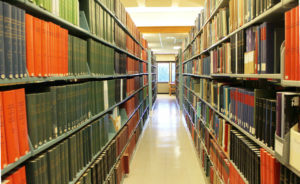 Finally, the PSU Library has many great resources available online. Visit the PSU Library website to read eBooks or stream films and music. Research resources like subject guides and 24/7 chat will remain available throughout the break. The Library’s hours will change between terms. The Library will close Saturday and Sunday, March 25th and 26th. During Spring Break from Monday, March 27th, through Friday, March 31st, we are open from 8 a.m. – 6 p.m. The Library will close on Saturday, April 1st. We will re-open from noon until midnight on Sunday, April 2nd. Spring term hours begin on Sunday, April 2. A PSU ID card will be required to enter the Library after 9 p.m. beginning Spring term. If you need a PSU ID card please visit ID card Services in Neuberger. If you are staying in the Portland metro area over Spring Break, there are plenty of ways you can enjoy the sunshine and warmer weather. 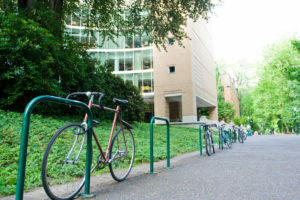 Free events around the Portland State campus include financial wellness information, career workshops, and student exhibitions. There are many cultural institutions and gardens around Portland to visit during the break. This guide for students lists places to visit off campus. You may be able to explore these institutions for free with a culture pass from your local public library. Multnomah County Library, Clackamas County Library, and Washington County Library (WCCLS) have passes available to explore places like museums and cultural centers around town. These provide free admission, and often cover admission for groups of people or families. We hope you enjoy your break, Vikings. We look forward to seeing you at the PSU Library!